Just as a lot of brands have begun to catch up, the goalposts of Email Marketing have again shifted. For this, you can thank Machine Learning. Machine learning takes Marketing Automation one step further. In this case, algorithms analyze, predict and act on data without direct human instructions or programming. As a result, the performance gains are even more remarkable. 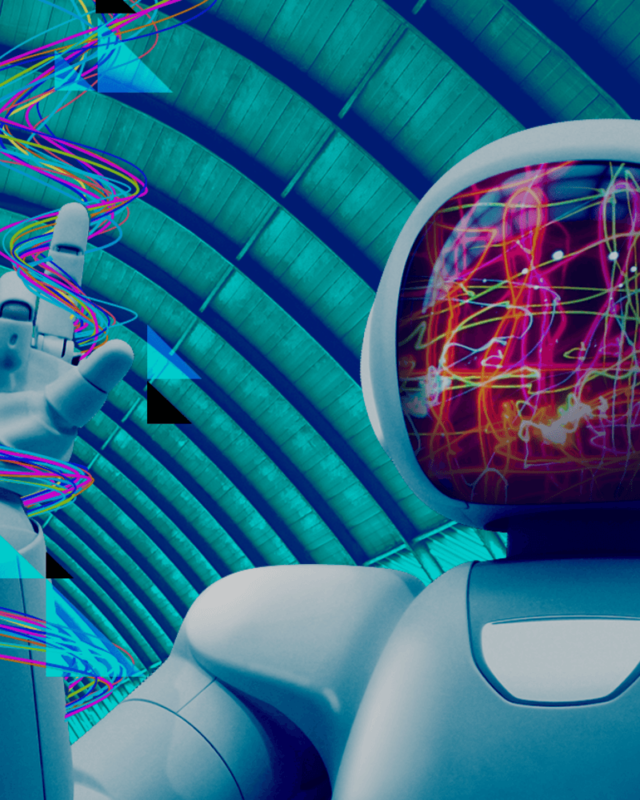 In this article, Carolyne Wildman, eWave’s Head of Marketing, shares strategies for leveraging Machine Learning to deliver hyper-personalised email marketing with unprecedented cut-through and unparalleled business impact. What is your role at eWave? As Head of Marketing, I help organisations identify opportunities and subsequently generate technology-driven strategies that drive real impact to their omnichannel customer experience. As a commerce agency, everything we do comes back to the return on business investment. In my experience, execution of CX strategy in conjunction with a strong technology ecosystem is the most effective way of driving revenue for global brands. Why do organisations need to embrace Machine Learning? Tesla, Netflix, Spotify, Twitter. These are just some of the biggest companies embracing the technology set to outsmart humans by 2030. Machine Learning is the talk of the industry at the moment, but it’s important to focus on applications that drive impact, rather than hype. Machine learning pairs powerful processing capability with the ability to identify patterns of behaviour humans can’t see. By presenting these patterns as actionable insights, technologies like Salesforce Marketing Cloud are empowering marketers to solve problems and seize opportunities at a scale, speed and accuracy that was never before possible. When a brand speaks the same language as their customers, truly meeting their unique needs, customers listen. We’re helping brands connect on a deeper level by helping them understand how their consumers interact with them across all channels. With this insight and the right technology to act upon it, comes an enormous potential for revenue generation. How can organisations leverage 1:1 personalisation on a grand scale? We no longer talk about database segmentation, that’s the standard. To really stand out from the crowd, the only effective weapon is hyper-personalisation. Consider that 35% of Amazon’s sales come from product recommendations. Tailoring products to customers works, and it’s even more effective when it’s based on deep insights. This comes down to relevance. Quite simply, when content is relevant, it is interesting to a consumer, and so they are engaged and ready for your message. 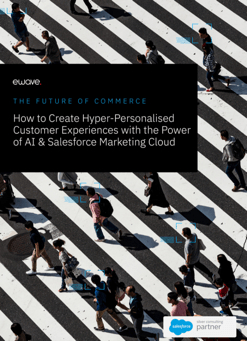 At eWave, we leverage technologies like Salesforce Marketing Cloud that use Machine Learning to develop a detailed picture of a customers needs and behaviours. The ultimate goal is to move customers along the purchase journey, and nurture them to brand advocacy. We work very closely with global brands to dissect their customer journey, and integrate effective email marketing and machine learning into everything they do. Every part of our process is optimised for engagement, and effective execution of technologies like Salesforce Marketing Cloud can transform businesses very quickly. Machine Learning takes the hard work out of marketing, and is helping organisations deliver timely, relevant and hyper-personalised email messages at speed and scale. Your customers are listening; all you have to do is make sure you’ve got valuable, relevant things to say. eWave act as strategy, design and development partner for Canon Australia, Nestle and Purina’s email marketing campaigns, and are experts in the impact-driving implementation of Salesforce Marketing Cloud. Get in touch today to reengineer your email marketing strategy with the power of Machine Learning.